This Great set includes 1 Unicorn Figure and 2! 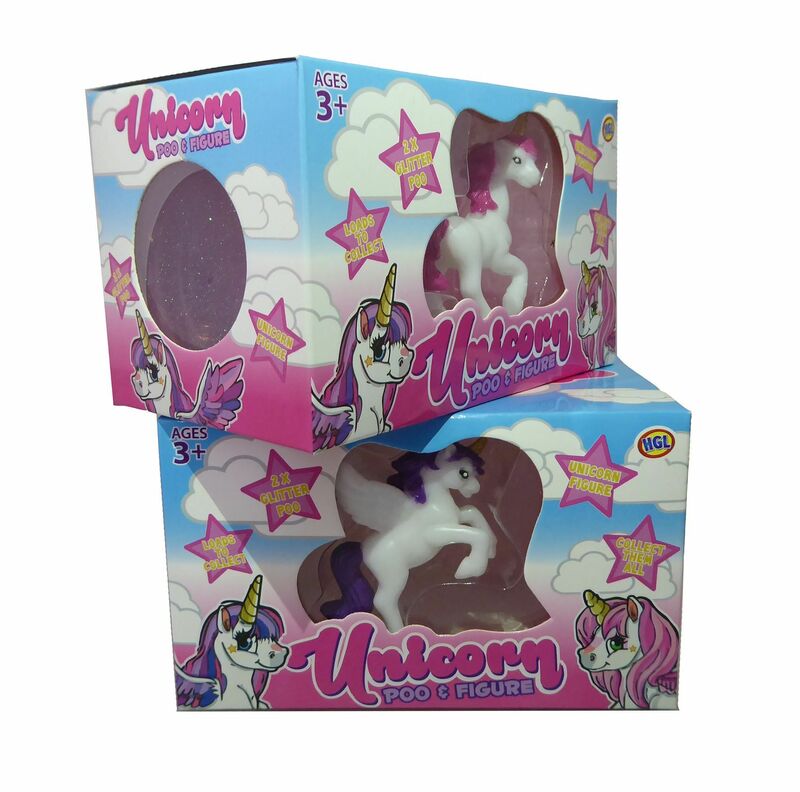 Tubs of Magic Unicorn Poo. 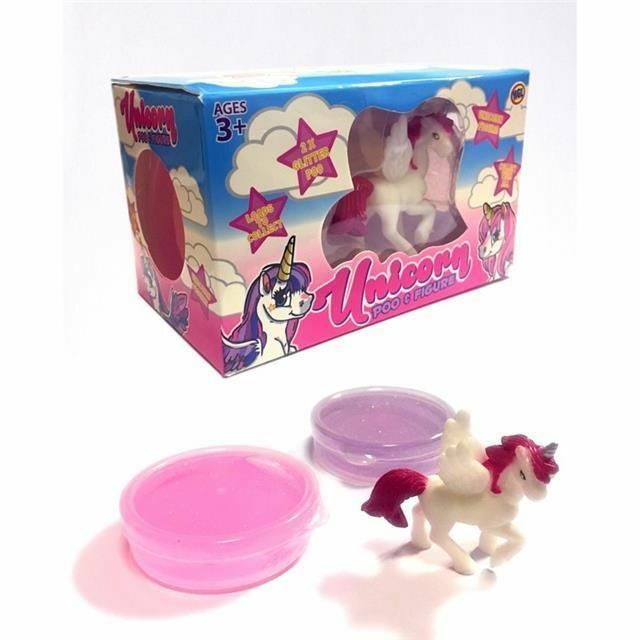 The glittery pink putty inside can be stretched, squeezed and moulded into many different shapes. Put it back in the tub between uses and it stays fresh for next time. The Figure is available in Pink & Purple and is sent Random, Collect them all!